Crafted by the nation's top chefs, these exclusive Valentine's Day chocolates are the ultimate haute chocolate gift of the season. 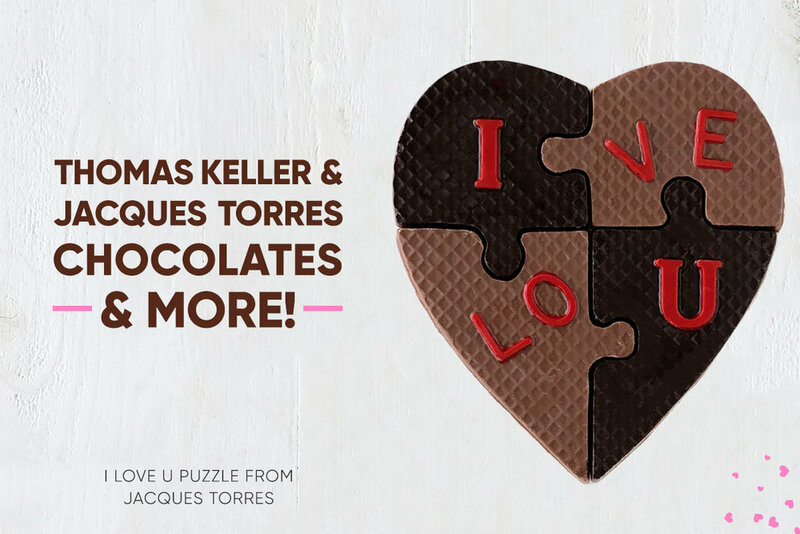 From Chef Thomas Keller's chocolate bars handcrafted in Napa Valley using Armando Manni's Tuscan extra-virgin olive oil to the sweetest chocolate heart puzzle from the James Beard award-winning pastry chef, Jacques Torres, order the finest chocolate gifts from America's top chefs available exclusively for Valentine's Day. They will sell out, so order today and schedule your gift to arrive just in time for love's big day!